When you operate any kind of manufacturing company or engage in any kind of manufacturing work, safety is of paramount importance. Here at Fort Miller FAB3 near Greenwich, NY, we put safety above all else. 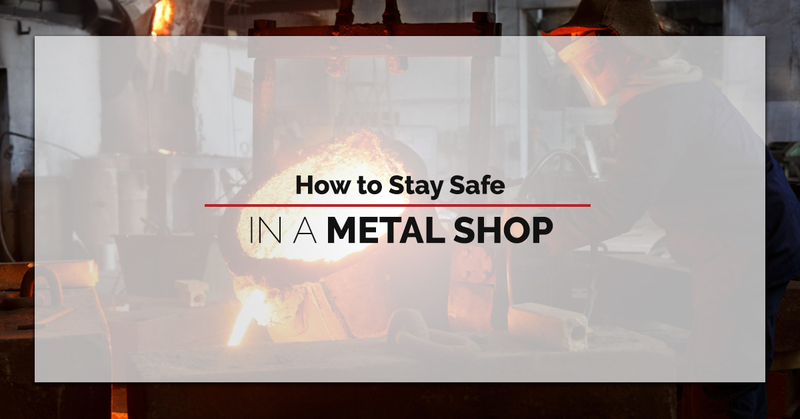 Read more below for how to stay safe in a metal shop. Wear protective clothing at all times. Safety goggles are the bare minimum for safety equipment in a metal shop. Depending on your job role, protective gloves that are fire-retardant and coveralls may be required as well. Manipulating metal involves sharp edges that can easily cut hands, and welding, laser cutting, and plasma cutting can result in rogue bits flying here and there. If not wearing overalls, avoid loose clothing that can accidentally get caught in a machine. Furthermore, tie your hair back and remove dangling jewelry that also can get caught in machinery. Emphasize equipment maintenance. Any metal shop probably has several pieces of machinery that can range in size from small to large. Some sheet metal shops can have dozens of machines. Here at Fort Miller FAB3, we have very large machines to perform all of our services, which include robotic welding, laser cutting, plasma cutting, and CNC machining. Equipment that breaks down or malfunctions is a hazard to employees since so many moving parts can result in parts flying. Regular equipment maintenance will go a long way in keeping the equipment itself safe and working properly. Hardhats and ear protection should be worn at all times. In every metal fabrication shop, having these two standard safety items is responsible. Cutting and molding metal makes noise along with the actual operations of the machines. Furthermore, due to the size of equipment, often working parts are overhead. Protect your head and ears at all times. Lift heavy objects properly. Using your legs to lift something heavy will save your back and prevent injury. Always pick up heavy objects in a squat position and push into the ground as you lift. Take your time. Fort Miller FAB3 Corp wants every job done efficiently and properly. However, we don’t want to sacrifice quality and safety over a quick turnaround time for the client. Carelessness and hurrying is a frequent cause of accidents. Inspect your tools. Make sure your workstation is safe by inspecting your tools regularly and having them replaced when deemed unsafe or not in working order. Fort Miller FAB3 Corp takes safety seriously. All employees undergo ongoing safety training and meetings to review protocols and procedures, especially when implementing a new process or a new piece of equipment. We pride ourselves on a safe work environment for our employees in our metal fabrication shop, and work diligently to implement safety standards for everyone on our campus, from the employees to the visitors. Fort Miller FAB3 Corp supports a safe work environment and relies on our employees to look after one another and report any unsafe working conditions, procedures, or employees forthrightly. We are always looking for new talent, so if you’re interested in a career in a metal fabrication shop, visit our career page today and apply!